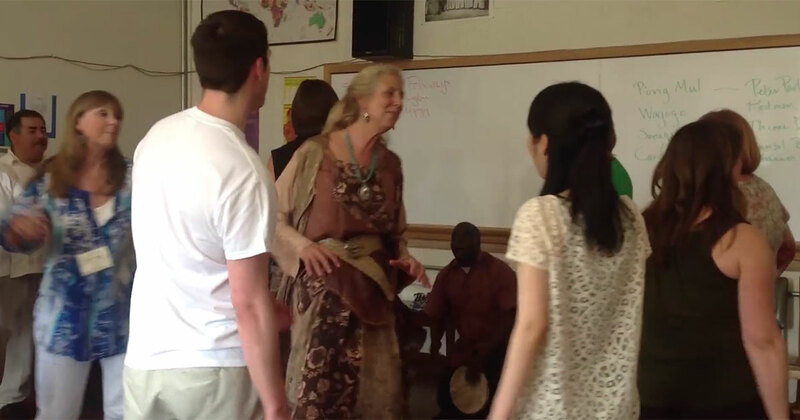 This workshop/course provides the opportunity for participants to experience music of many cultures as we examine pedagogical implications for including world music as part of a music education curriculum. We will learn the music of several cultures through songs, movement and dance, and instrumental music with culture bearers and cultural informants. We will examine the resources available to teachers through the Smithsonian Folkways tools for teaching lessons and instructional activities and consider their use in instructional settings. Time will also be devoted to considering the pedagogical issues involved in studying music of other cultures, involving possible musical and cultural differences, instructional challenges, and the possible benefits to teachers and students. This certification is worth 30 Professional Growth Points (or PGPs). This session is available as a workshop or as a 3-credit graduate course. For information on how to apply, click here. For questions, please contact Katy Strand at kstrand@indiana.edu.